Character Actor Abe Vigoda Dies At 94 : The Two-Way Vigoda, known for playing the treacherous Tessio in The Godfather and Detective Phil Fish in the TV series Barney Miller, died Tuesday. Actor Abe Vigoda, shown in character in 1977 as Detective Fish in Barney Miller. 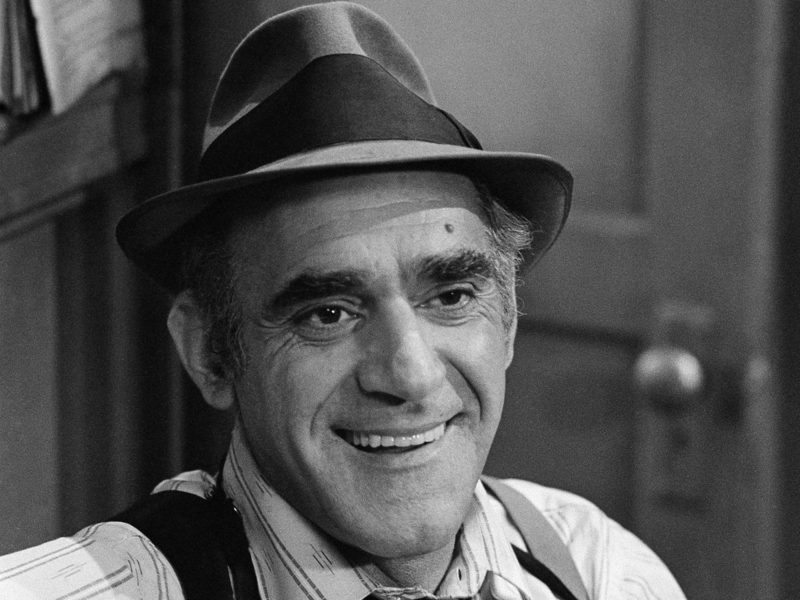 Abe Vigoda, the sunken-eyed character actor known for playing the treacherous Mafia boss Tessio in The Godfather and Detective Phil Fish in the TV series Barney Miller, died Tuesday at age 94. Vigoda's daughter, Carol Vigoda Fuchs, confirmed that he died Tuesday morning in his sleep at her home in Woodland Park, N.J.
Vigoda was a stage actor for years before he got his big break as Tessio in the 1972 Oscar-winning movie The Godfather. He told Vanity Fair about the role in 2009. "I'm really not a Mafia person," he said. "I'm an actor who spent his life in the theater. But Francis [the director] said, 'I want to look at the Mafia not as thugs and gangsters but like royalty in Rome.' And he saw something in me that fit Tessio as one would look at the classics in Rome." The role was a springboard to a number of others, including his turn as Detective Phil Fish in the 1970s comedic series Barney Miller, which gained him widespread recognition. "An exercise enthusiast, Vigoda had just returned from a five-mile jog when his agent called and told him to report immediately to the office of Danny Arnold, who was producing a pilot for a police station comedy. "Arnold remarked that Vigoda looked tired, and the actor explained about his jog. 'You know, you look like you might have hemorrhoids,' Arnold said. 'What are you — a doctor or a producer?' Vigoda asked. He was cast on the spot." In 1982, Vigoda's death was erroneously reported by People magazine. The New York Times says Vigoda responded by "placing an ad in Variety with a photo showing him sitting up in a coffin and holding a copy of the offending issue of the magazine." As his "death" became a running joke, a website called abevigoda.com was created to keep tabs on whether he was still alive, and late night comedians invited him on their shows to prove he was still living. He appeared on David Letterman's show in 1988.